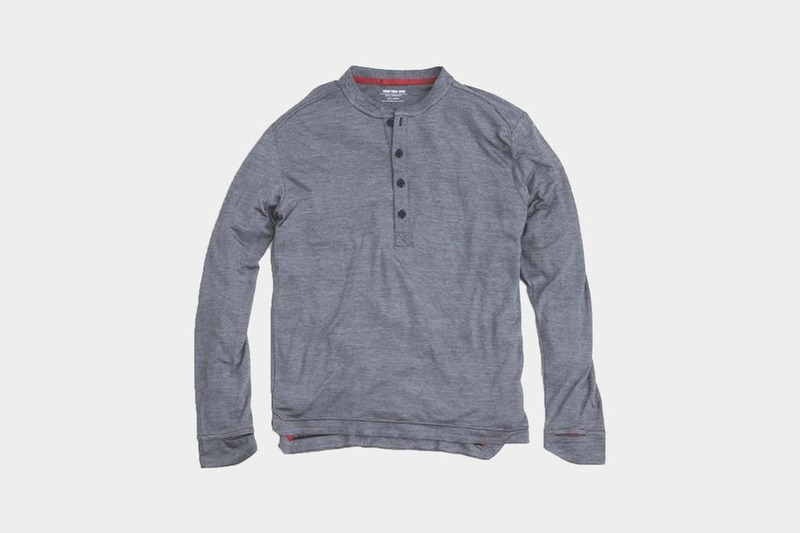 Western Rise’s DryWeight Merino Henley makes a great first impression on look and feel, but ultimately falls flat due to poor durability. This shirt visually checks the boxes. The Henley design keeps it from screaming “activewear,” so you won’t look like you’re in a constant state of heading to and from the gym. It’s available in three muted, tiny striped (add that one to your fashion dictionary), named-after-nature colors—clay, moss and coal. The red piping on the coal shirt makes for a nice accent and the branding is limited to the inside collar. The buttoned v-neck collar may be a little deep for some, but that probably just depends on how confident you are in your chest hair situation. 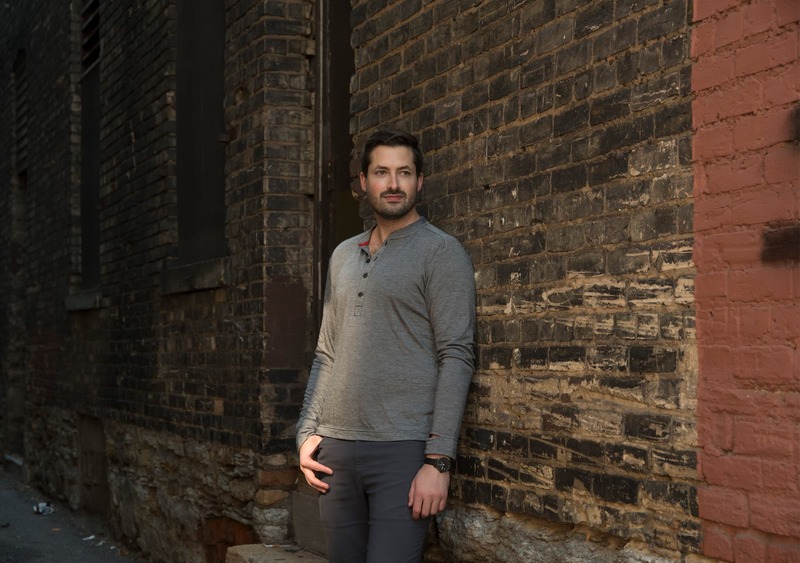 Western Rise uses a patented TENCEL® Merino wool material blend in their shirts. It’s a eucalyptus tree spun fiber the brand claims will wick and cool more effectively during high moisture activities. The material did do well with regulating body temperature—it succeeded in keeping the body cool in mild temperatures. And for a long sleeve, it’s a surprisingly comfortable sleep shirt. While we found TENCEL® to be incredibly soft, we did not find it to be very forgiving. The lack of stretch in the sleeves and cuffs makes this a rather challenging shirt to roll up. The thumb holes are equally stiff, making them essentially useless for those with longer than average arms (or anyone who moves their arms, for that matter). 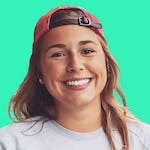 If you pull too hard, you’ll hear that familiar little tear sound we all know and loathe—you know, the same one that painfully reminds you that you can no longer fit into your coveted Intramural Champs t-shirt from college. When it comes to durability, this one’s going to be a no from us. The fabric pilled after just one week. Ran it through the wash in hopes of subduing the pill (there’s a joke here, we just don’t know what it is), but the attempt was futile. We also noticed some sweat stains after a few days, which is no good if you’re on the go and need to get a little more mileage out of your clothes between washes. We probably wouldn’t be too hard on this shirt if it didn’t cost around 100 bucks. Maybe our expectations were set higher because of all the hype surrounding this brand right now. But we firmly believe if you’re dropping a few Washingtons shy of a hundo on a long sleeve, it should be worth its weight—or at least hold up for longer than a week. 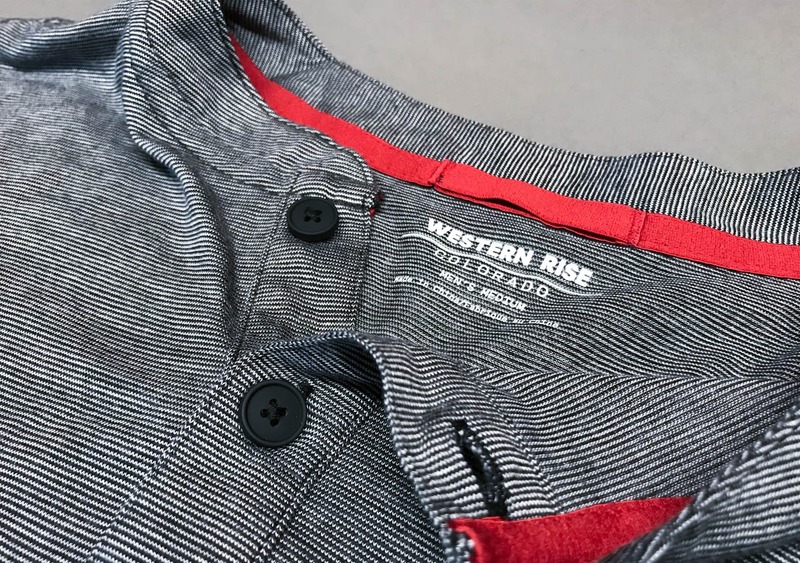 After some really great luck with the Western Rise AT Slim Rivet Pants and some not so great luck with the Western Rise Strongcore Merino Tee, we recommend you proceed with caution when purchasing Western Rise gear. 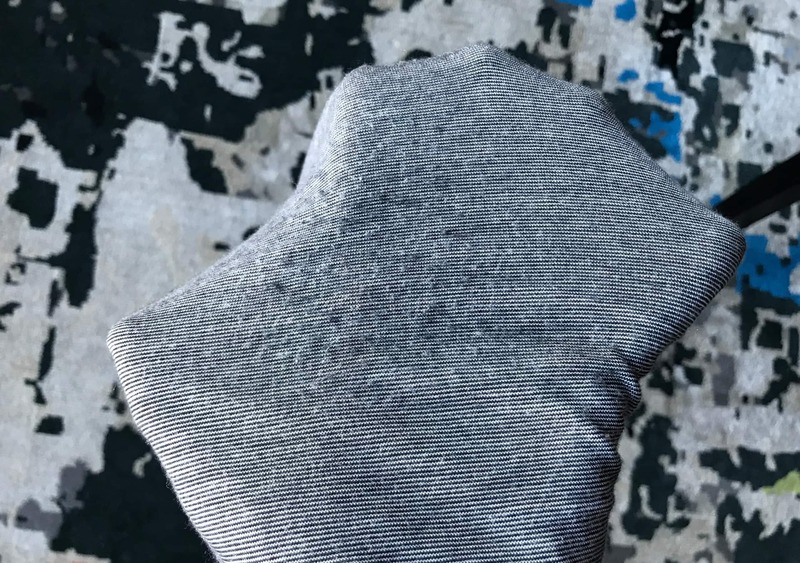 For other options, check out our Merino wool clothing guide. Shirt looks and feels nice out of the box, but it’s lacking any reasonable stretch in the sleeves and cuffs. Pilled after one week. All of that considered, we won’t be conducting any further testing on this bad boy. Visually, the design is nice. Attractive color options and detailing. Material is comfortable and regulates body temperature well. Cuffs and sleeves are incredibly stiff—no stretch at all. Overall, this Henley unfortunately has one too many flaws for us to recommend. We know you only have so much space when traveling and we can’t in good conscience say that this shirt is worth making room for in your pack. Though the fabric is comfy and the design is attractive, we’re optimistic you can find similar qualities out of a shirt that will have enough stretch for you to roll up your sleeves and won’t pill after a few uses.